Go check it out! There are a bunch of family adventures and delicious recipes you don’t want to miss! You should check this one out, and this one, and this one! I will not be posting any more on this site. So, go on over to my new site and sign up as a follower and remember to confirm through your email to ensure you will get each and every one of my future postings! I wanted to give everyone a reminder about this because I’m still getting new people signing up as a follower on this site, I don’t want my new peeps to get disappointed! Because I’m over here now! See ya over at http://tahnycooks.com/ ! I thought I would bring you a “Spring” post on this extremely snowy day! We hear all the time how important it is to buy locally and support of local farmers and small business. But, do you? Do you really know how? Or where to start? This info might help you. 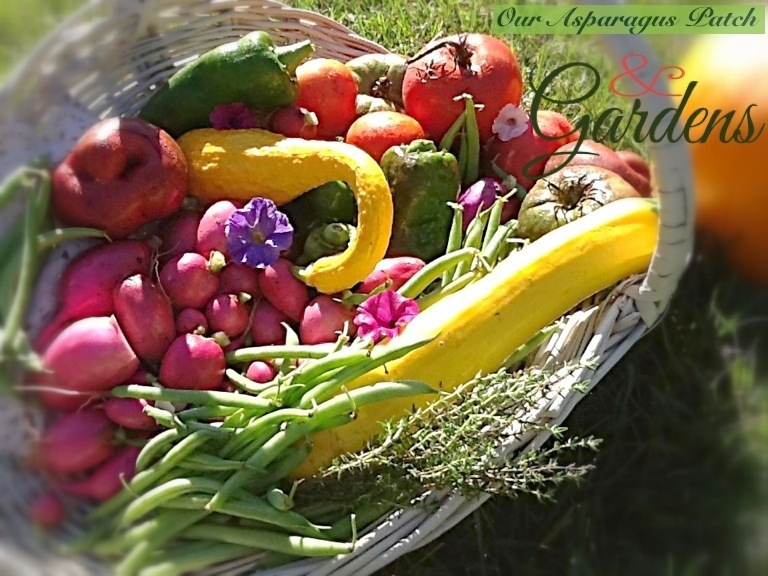 My husband’s parents, Ken and Diane have their own small business called, Our Asparagus Patch and Gardens . During the summer going to the “farm” is one of my boys’ favorite place to go! Me too, I enjoy walking around and seeing all the vegetables and fruits being home grown. There is something nostalgic about growing your own food…. To read the rest of this post go to http://tahnycooks.com/ and sign up as a follower! I have 2 exciting things to share with you! 1.) I got a new blog site so you all can print my recipes! Hooray! A lot of you have voiced to me that you would like to be able to print my recipes, without printing the whole posting. So, now you can! Please, sign up as a follower. That way you will get my posting automatically when I have a new post. Yes, some of you have already done this, but that was on my previous blog site. (Thank you!) BUT…..you have to do it again for this site! Please! I don’t like writing to myself, and I love to share my food! Some of you have never officially signed up as a follower and you still have gotten my post. But, that is because I have forwarded them to you. So, lets do this official and you sign up! 2.) I have very exciting news that I will be sharing on my new website about a new adventure my family is embarking on. Thank you all for your support in my new hobby, blogging! Tags: exciting news!, New blog! 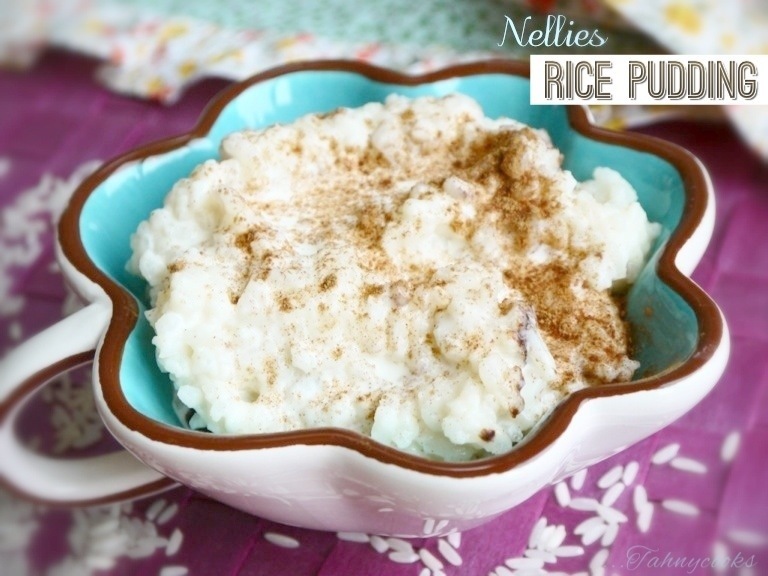 Nellie aunt Faith makes the best rice pudding. I will only agree to go to a Coney Island for the rice pudding. Sorry, I don’t eat hotdogs. Now, I never said I didn’t like hotdogs…. I just choose not to burp a hotdog all day long. Gross. Besides, does anyone even know what hotdogs are anyways?!?! We all have our own speculations and just the thought of that alone convinces me to order the Greek salad with extra beets. Yup, I’d rather have a vegetable that taste like dirt. 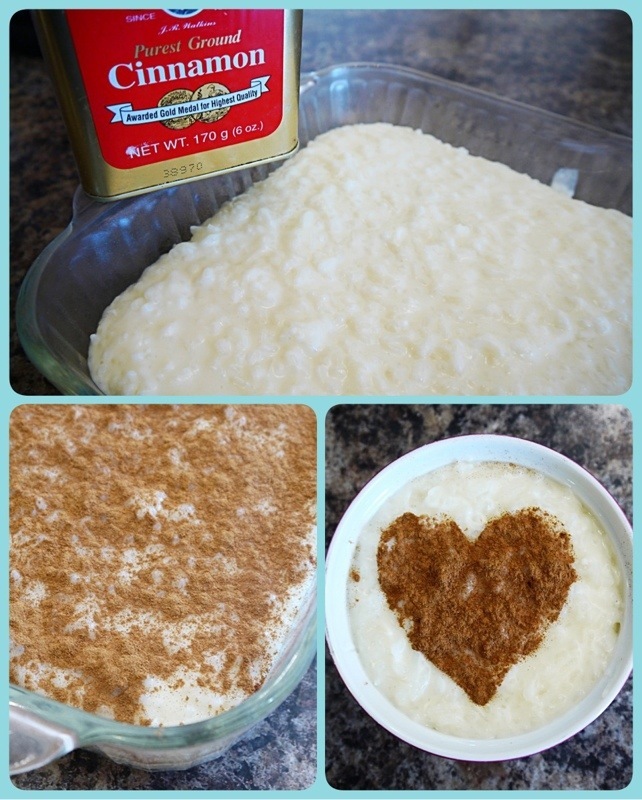 This rice pudding recipe first came from my Aunt Faith. (Nellies sister) Aunt Faith got this recipe from a local Coney Island restaurant, but my lovely mother (Nellie) will deny all facts the Aunt Faith had this recipe first! Sisters….. My point is, THIS RECIPE IS A TRUE AUTHENTIC CONEY ISLAND RECIPE! Ok, let’s talk raisins. Love them, or hate them? I’m on the fence. You will never see me grab and pound down that little red box, that has a solid block of raisins all stuck together. Why such a small box, anyways? I’ll tell you why! It’s because this tiny box was designed for the of the pointer finger only. You have to take your pointer finger to break the raisins apart, making everyone look like they’re a sloth scratching and digging for ants. You know….what I’m talking about! Then there is always that annoying last raisin stuck in the corner that never comes loose on its own. Once again, you can only use your pointer. 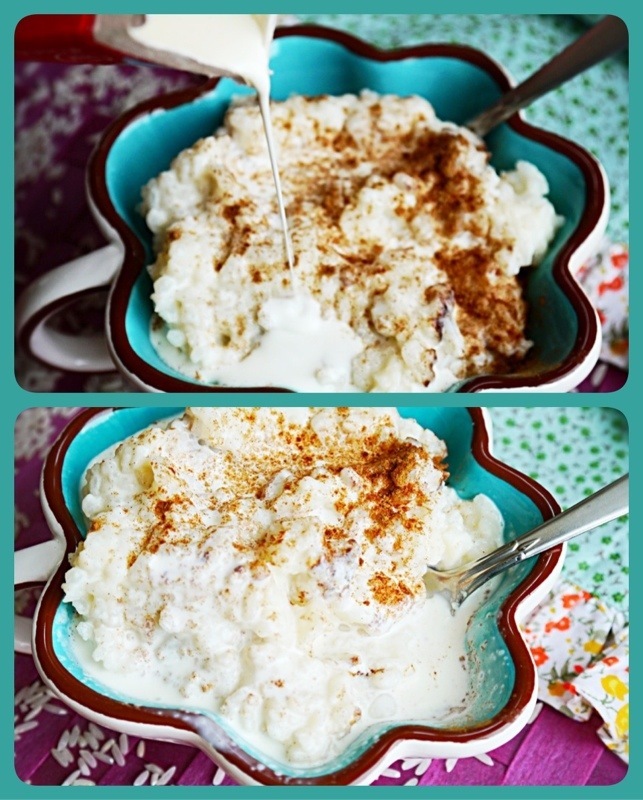 My other reason for loving Coney Island rice pudding is the creammmmm….mmmm peel back the seal on those individual mini coffee creamers and then pour as many as you can until it almost over flows. Then drop half of the empty containers on the floor, so the waitress doesn’t think you have dairy issues. Un-refrigerated coffee creamer is a standard condiment for every Coney Island! Make room ketchup and mustard! Long grain rice is most commonly used for rice puddling. I also like to use jasmine rice. It gives a slightly floral scent and taste. Use vitamin D milk for best flavor and creaminess. 2% works good too. 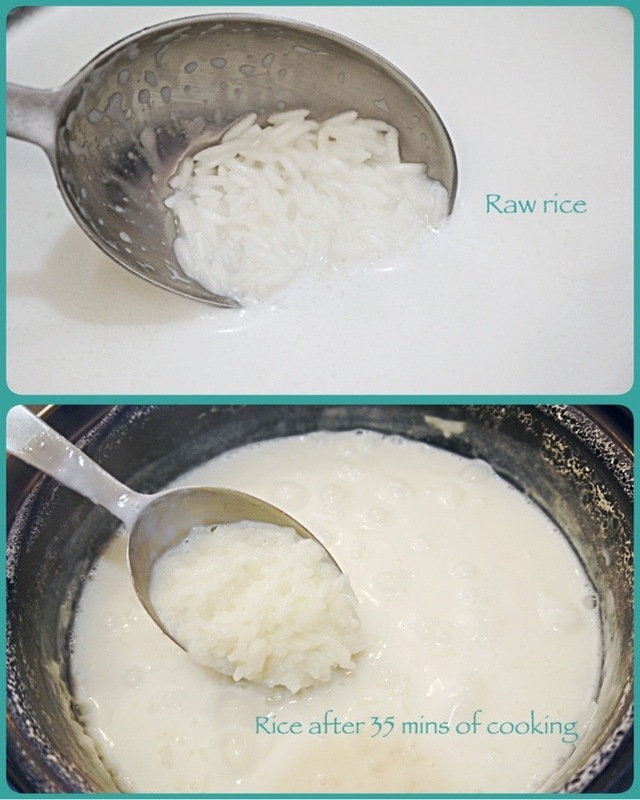 Once the rice is completely done and the milk is thicken by the starch of the rice; add one tempered beaten egg. Finish with vanilla and butter. I purposely left the spoon full so I could eat it! Cover with an obscene amount of cinnamon. In a large stock pot combine the milk, water, (raisins if using) sugar, rice and salt. 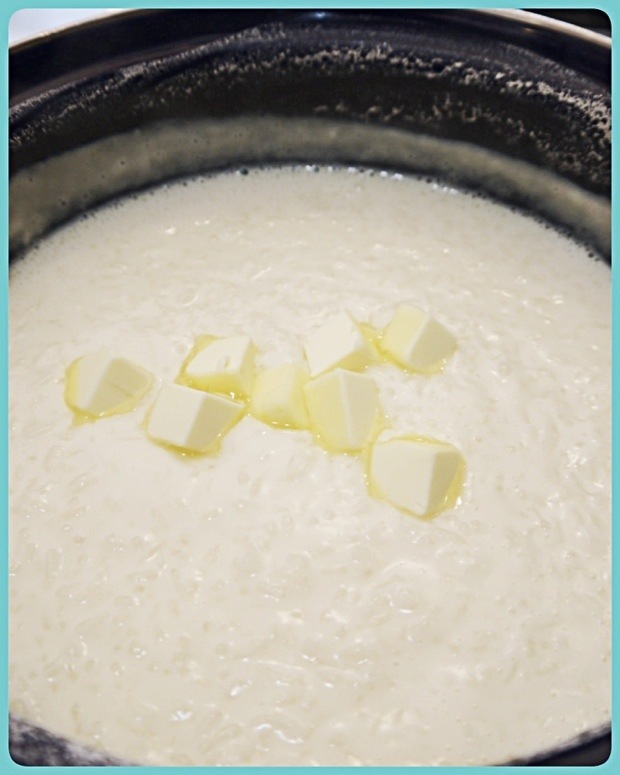 Leave on medium heat stirring often for about 40-45 minutes or until the liquid has reduced down about 2 inches and the rice in done and has thickened the milk. Turn heat to low. Beat the egg in a liquid measuring cup; add enough water to the egg to equal 1/2 cup of liquid. 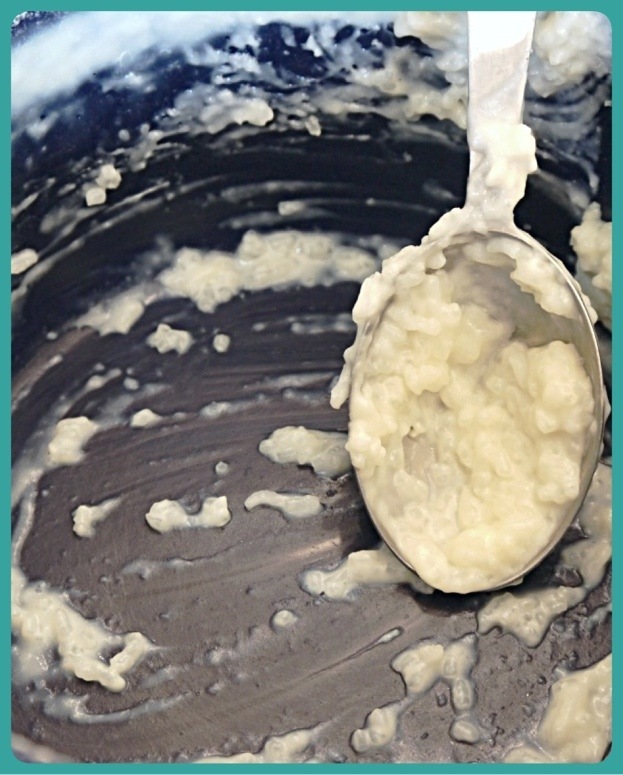 Add 1/4 cup of the rice mixture to the beaten egg, stirring instantly. Add the tempered egg mixture to the rice stirring instantly. Turn heat back up to medium and bring just to a boil then remove from the heat. Add the vanilla and butter. Pour into your dishes of choice. Sprinkle the top completely with ground cinnamon. Serve warm with a splash of cream. So creamy and delicious! *Recipe stolen from Nellie and revealed to the planet first on Tahnycooks! 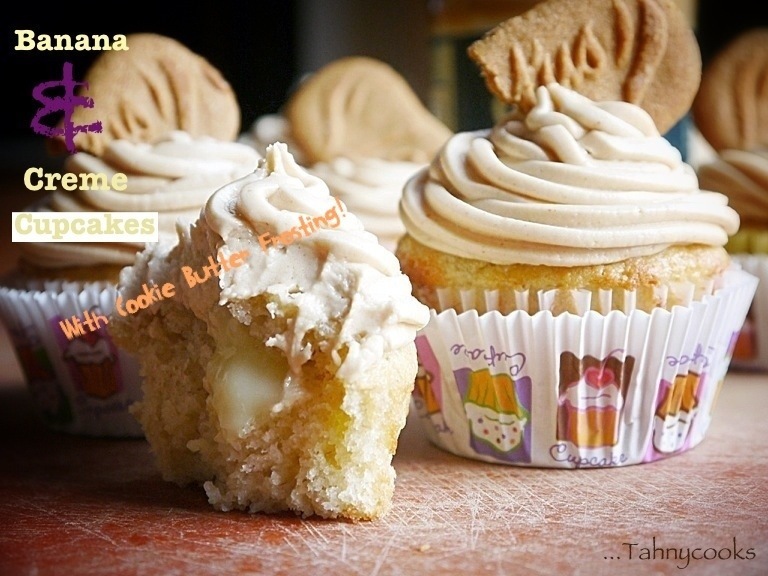 Not only is the title of these cupcakes a mouthful but, so will be your first bite! These are a must make! First things first though. You might be asking me what is cookie butter or more commonly known as Biscoff. Oh, wait what’s that you say?? You all know what this stuff is?! WHAT! I guess I’m showing up late to this party of cookie butter and Biscoff once again. I just thought it would be better late then never to jump on this “food posting band wagon” like the rest of the food bloggers out there. If you’re anything like me though, you might need some ideas to get the ball rolling on how to use this yummy stuff. 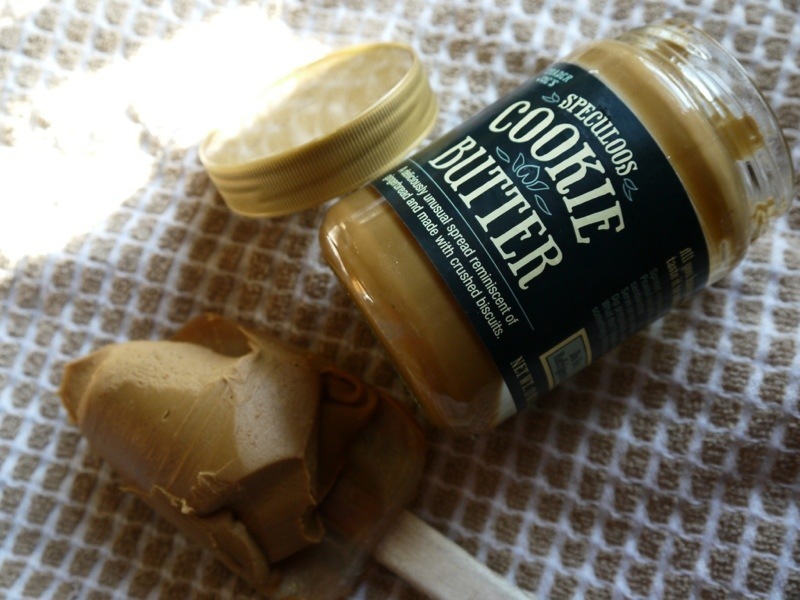 To be quite honest, I didn’t even know what cookie butter was until I bought my first jar from Trader Joes. After my first tasting, I wasn’t quite sure what to do with it. You automatically compare it to peanut butter because of the color and it’s in the traditional peanut butter jar. It wasn’t until I started to do some searching from other food blogs that I realized I’m a little behind with this product. Check out this recipe from another blogger, then this recipe and then one more. But, hold up! It’s not peanut butter! It will never be peanut butter! I’m using the voice Julia Robert uses in My Best Friends Wedding when she was explaining to Kimmy, “You’re NEVER…GONNA…BE…JELL-O!” Gosh, I still can’t stand “Kimmy” till this day! Then I cry. Because she never does. Maybe the next time I watch it she will. Denial…..I know. Back to the cupcake. Sorry, I get emotionally attached to that movie. THEY BELONG TOGETHER! Ok, ok, ok, cupcake. Yah, make this cupcake it’s good. Sorry I’m upset. But, this cupcake makes me happy again! Start with the wet ingredients and then gently fold in the dry ingredients. Fold; don’t over mix! Fill the cupcake liners about half full. Bake until the cake tester (toothpick) comes out clean. Don’t over bake! Let the cupcakes cool to room temp. Now, this is where I cut some corners. I used canned vanilla pudding for my filling. a.k.a, creme. Max filled them for me. Then here comes the glorious frosting! I started by browning my butter first. 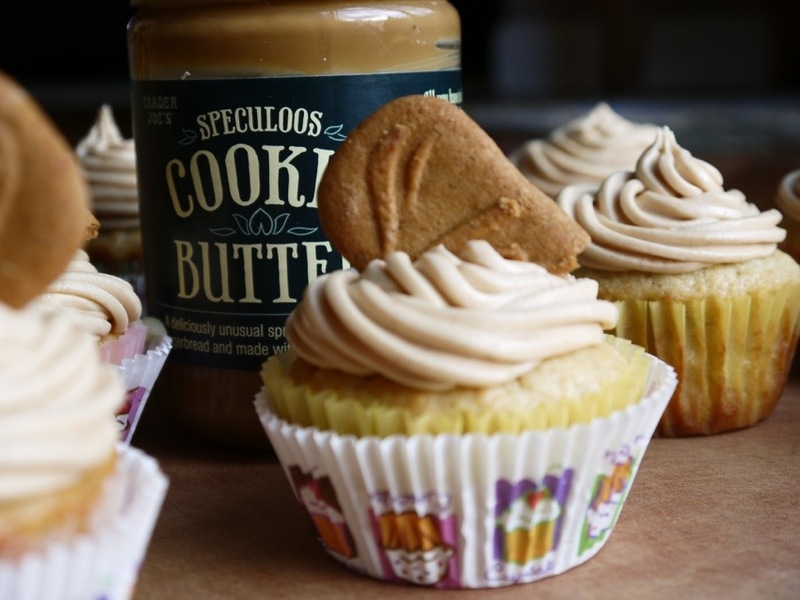 The brown butter complimented the cookie butter so well! I added 1/4 cup of cookie butter into the frosting. 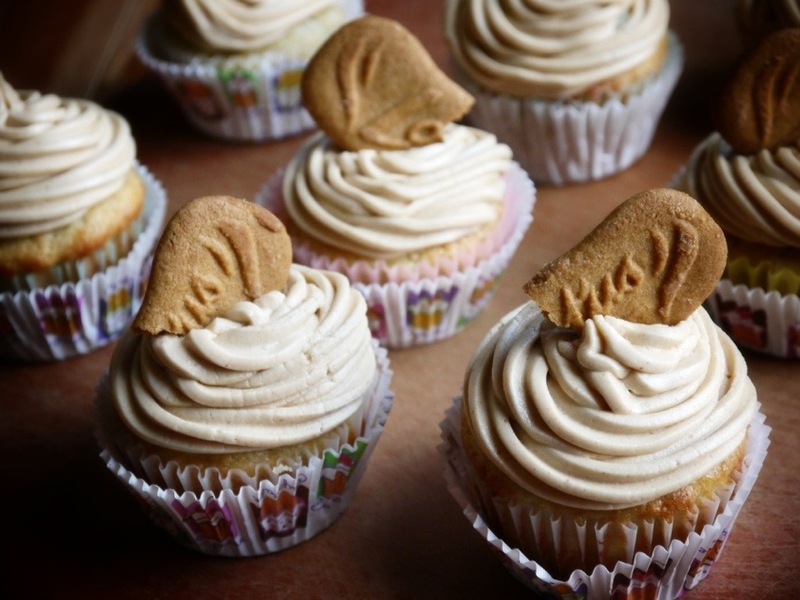 Topped with a Biscoff cookie and these are complete. Now, shovel it in your face! Heat oven to 375F. 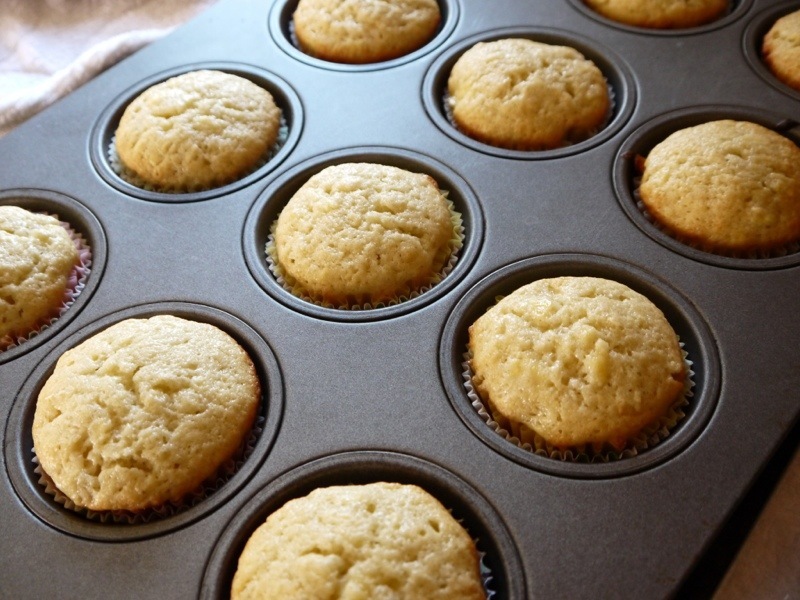 Line your cupcake pan with cute cupcake liners. Set aside. In a large bowl, beat together sugar, sour cream, butter, and eggs until creamy. 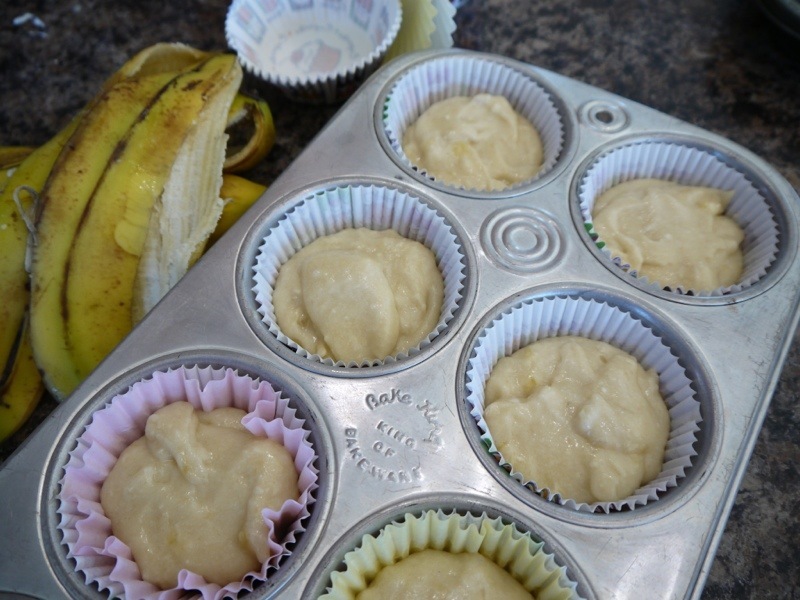 Blend in bananas and vanilla extract. 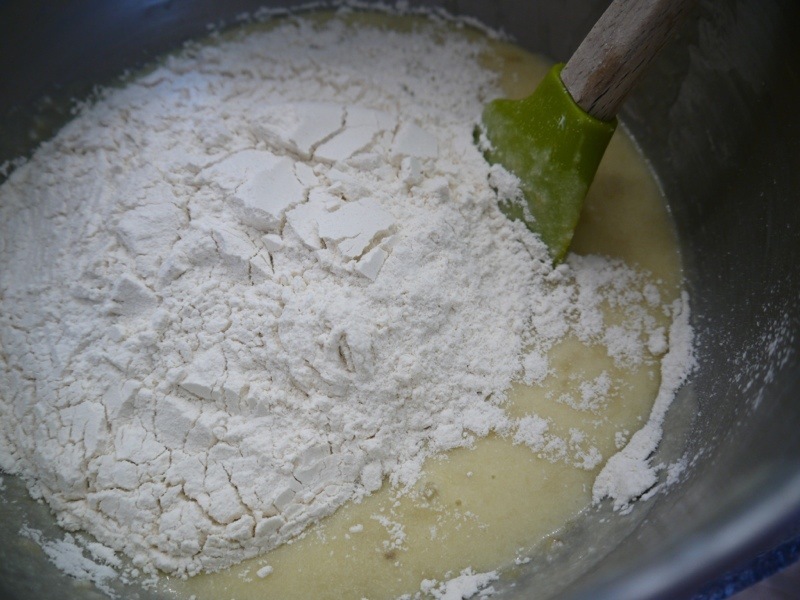 In a separate bowl sift together the flour, baking soda and salt. Gently mix with the wet ingredients. Don’t over mix. Just until the dry is moistened. Bake for 12-15 minutes. Or until a toothpick come out clean. Let cupcakes cool to room temp and then fill with the pudding. Top with frosting. 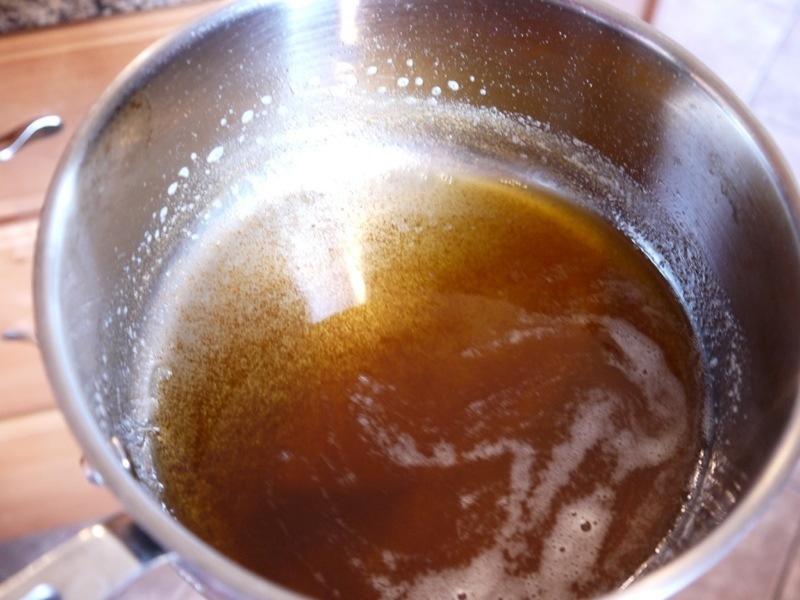 Heat butter in a large saucepan over medium heat until boiling. Let the butter turn a delicate brown and remove from heat immediately! In a large mixing bowl with the whisk attachment add; powdered sugar, cookie butter, vanilla, cinnamon, cooled brown butter, milk and salt. Whip until smooth and it is the desired consistency of frosting you would like. 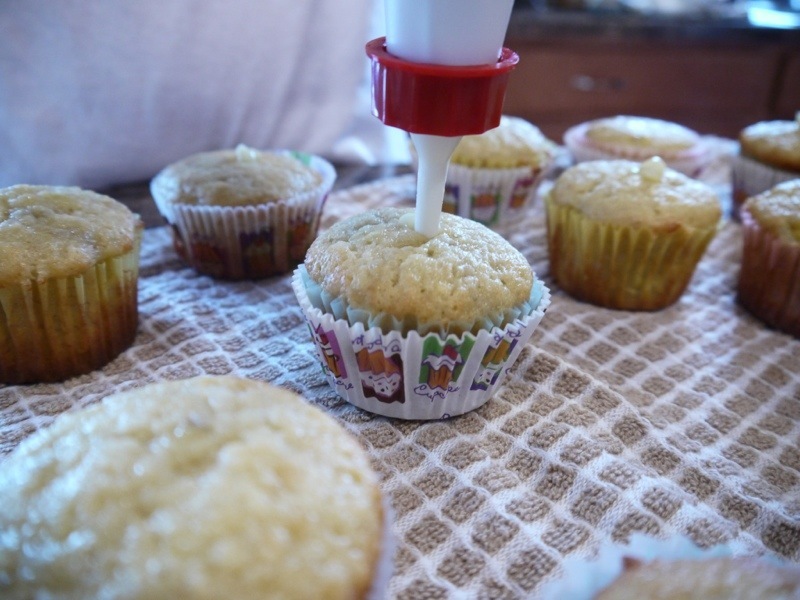 Spread or pipe onto the filled cupcakes. Try these….”don’t let this moment pass you by..” (Another quote from My Best Friends Wedding) sorry that’s cheesy. *Side note: I’m working on getting printable recipes for you! Be patient with me, I’m not very tech savvy! February 19th, 2012 one year ago today was the day my life changed. I explain the events that took place in detail in my “Chapter Writings” listed under my categories. If you would like to read about what took place I suggest you start with Chpt 1 of course, then proceed through 2, 3, 4, 5, 6, 7 and then my results. I cannot believe it has been 1 whole year since all this has happened! Goodness, when you’re in such turmoil in your life you think it is never going to end! But, here I am today with a much different perspective on life, family, working out, doctors, and yes, even God. I’ve always believed in Gods’ peace, love and healing but, to experience His faithfulness in all these things, sure does puts my perspective of God on a whole different level, and I couldn’t be more thankful! So, it’s been a year. For those of you that know my story, I will give you an update on my back and blood clots. My back isn’t even an issue for me anymore! I have not experience any pain, numbness or sciatic nerve pain since surgery. Sometimes, there will be a little achy-ness in my lower back, but nothing to cause me any concern. I’m able to teach spin classes and run again. Blood Clots, I haven’t been on blood thinners since late November. This issue has cause some mild mental damage for me! Grrrrrr! My father in law asked me the other day if I eat non-stop salads now? Nope! I sure don’t! I’m not anywhere near how picky or strict about my eating like when I was on Coumadin, but I sure don’t eat lots of greens yet. I’m still hesitant on the thought of eating lettuces’ and spinach salads with vitamin K. I’ll get over it, eventually! I have no problem eating all other veggies besides, spinach! 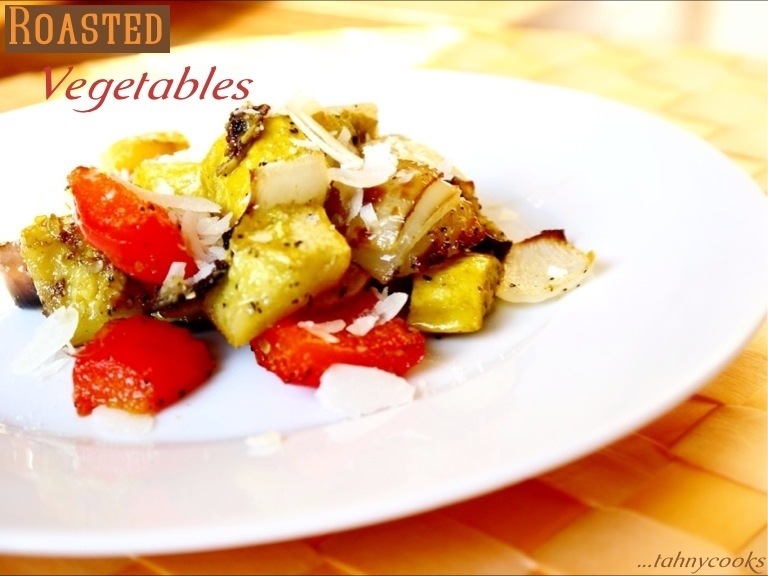 Especially roasted vegetables! 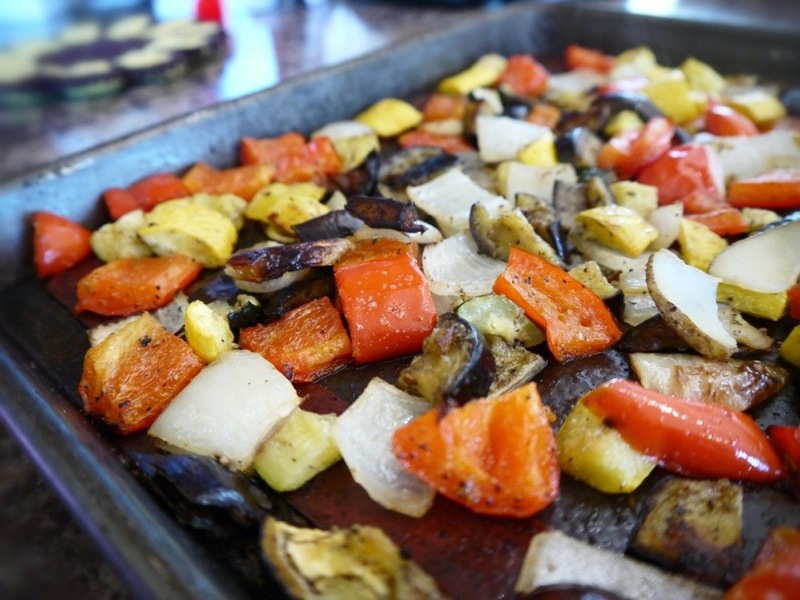 I love vegetables roasted, all kinds of veggies, like; beets, brussels sprouts, winter squash, fennel and root vegetables. I always try to convince people that if they roast a veggie that they thought they didn’t like, they would be pleasantly surprised by the different dimensions of flavor that hated veggie takes. Seriously, try roasting brussel sprouts, outstanding! Actually when I was finally off of my blood thinners and I had the freedom to eat “green” again, I chose roasted brussel sprouts! I remember telling this to my pastor and he was floored! His faced grimaced saying to me, “really? brussels sprouts! 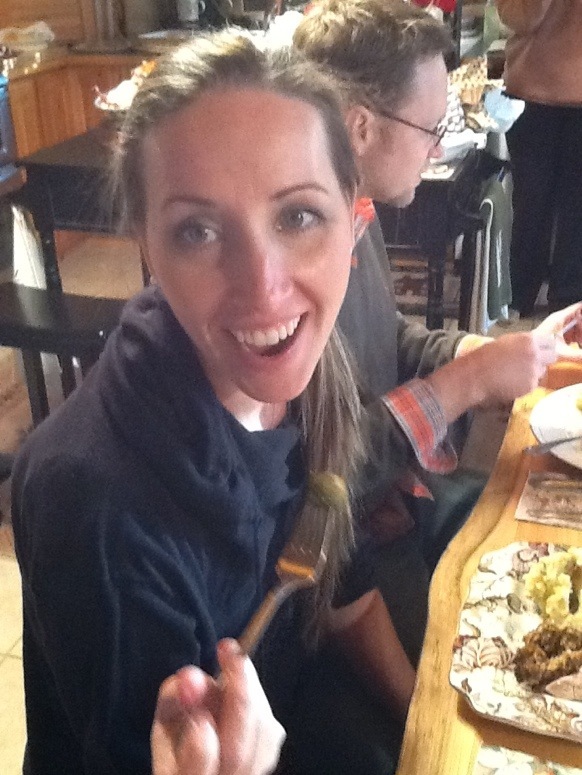 ?” Yup, and they were delish! This is my first bite after Coumadin! Even through blood thinners, roasted veggies are something I never stopped enjoying. Ironically there is probably the same amount of vitamin K in the olive oil, as if I was eating a salad! Oh well, I’m over that now! Cut your veggies. I used eggplant in this batch. Roasted eggplant is so good! Beckyf, stop curling up your nose! 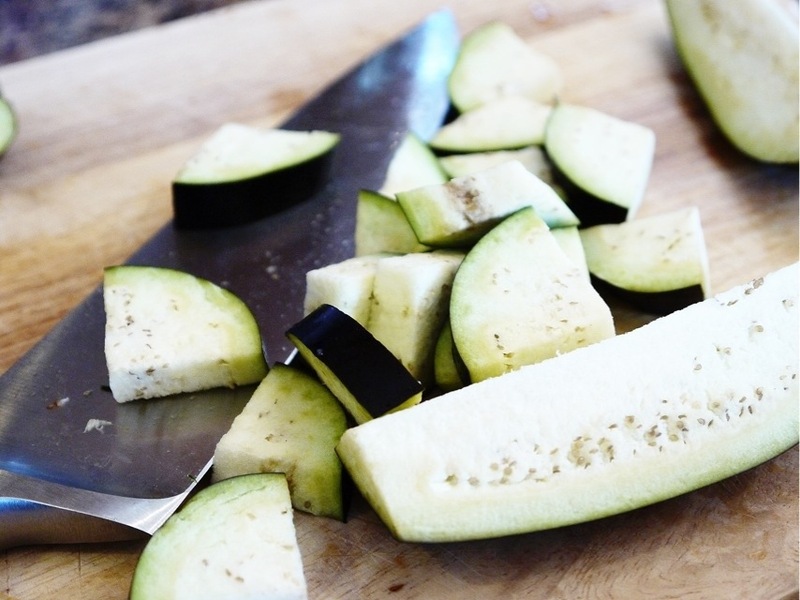 Don’t cut your veggies too thin or small; they will get too soft and mushy. 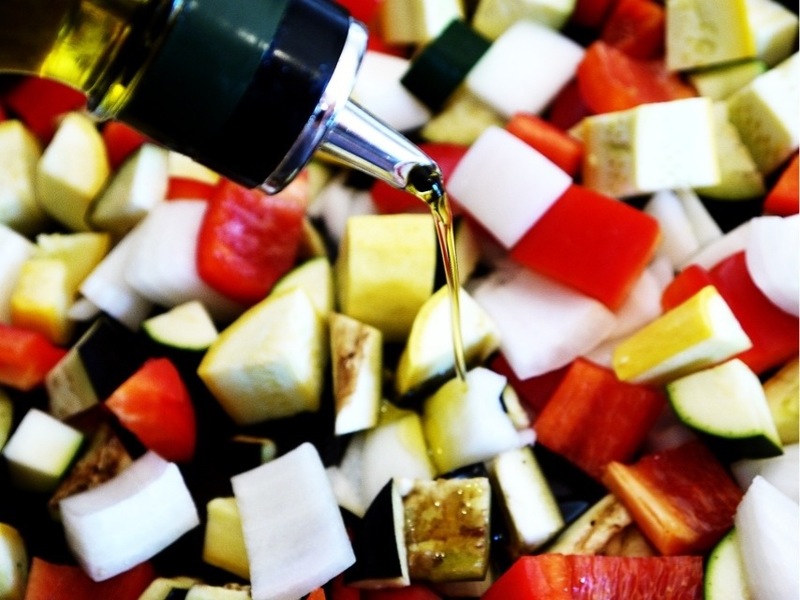 Drizzle with olive oil and season; toss together and make sure every cut is coated. Serve as a side dish, filling in wraps, on top of a salad or if you’re like me, eat as your main meal! Clean all vegetables. Cut into medium sized chunks, place on a jelly roll pan. Coat with olive oil, crushed garlic, seasoning, salt and pepper. 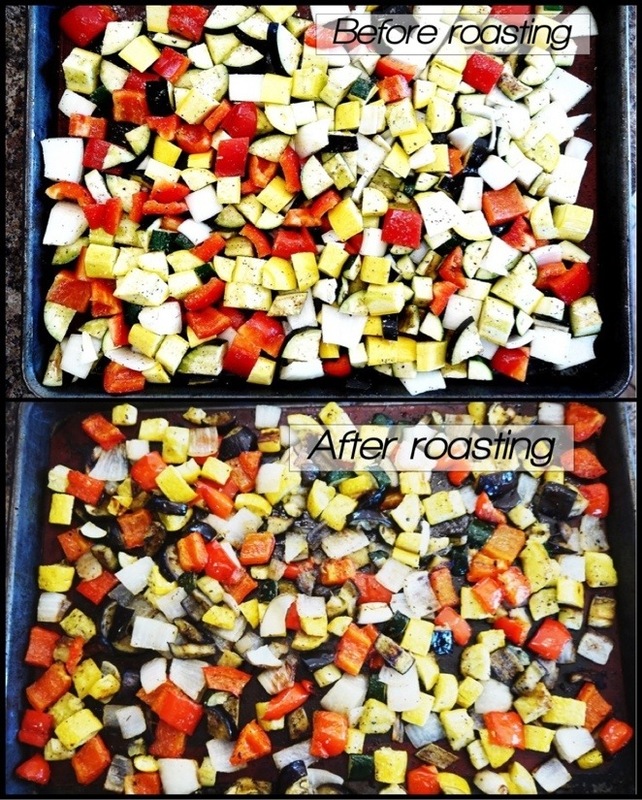 Toss all veggies together until everything is coated with the oil. 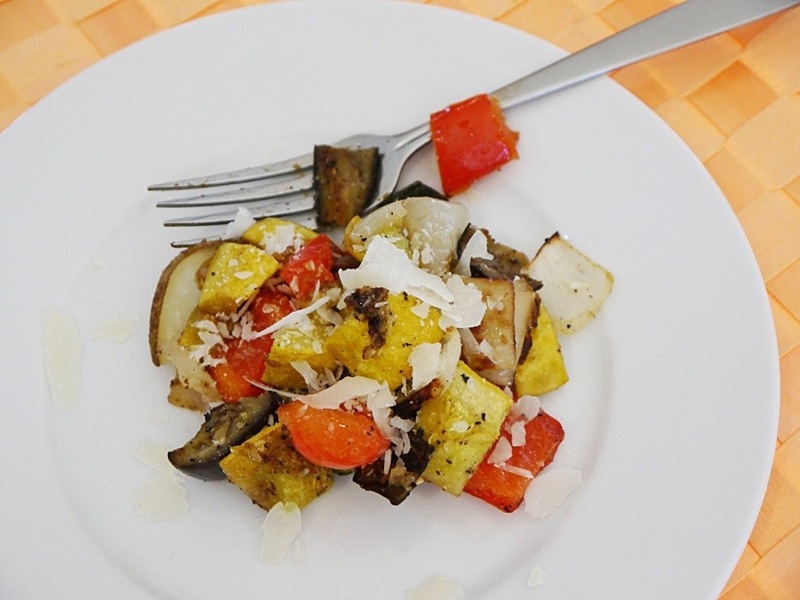 Sprinkle with a grated parmesan cheese and chow down! Recipe first seen and created on Tahnycooks. Ok, back to potty training. After posting Lemon Pound Cake and explaining about my adventure in potty training, I have received much more realistic and welcomed advice from all of you. Thank you! But, the best advice that I think will work is…NOT THE SAME FOR RUDY! CHEERIO’S DO NOT BELONG IN THE POTTY! “Have you lost your mind, mom!” Cereal belongs in the cereal bowl, NOT the toilet bowl. Yes, I’m happy Rudy knows that putting food in the toilet isn’t normal. But, I have to question why he isn’t phased by flushing the family pet fish down the toilet, and that this isn’t the least bit traumatic to him…??? hmmmm…? I’m Slightly concerned. I’ve even told Rudy to go watch dad and brother go potty and Rudy’s response was, “No, that’s gross!” I guess he’s right…I’m dumbfounded. I recently put a new app on my IPad for Rudy to play and learn from called “Potty Time” (I thought I could try to “trick” him into going on the potty by getting this app.) I was going to stop with my efforts and let this cute little frog named Hopkins, do the work for me. This story explains how Hopkins is a little nervous about letting his diapers go, and one of the pictures is illustrating this cute little frog hugging his diapers like they’re his blankie. When I read this story I use my super excited voice when Hopkins reaches victory and transitions into “Big Boy Underwear” but this doesn’t phase Rudy. 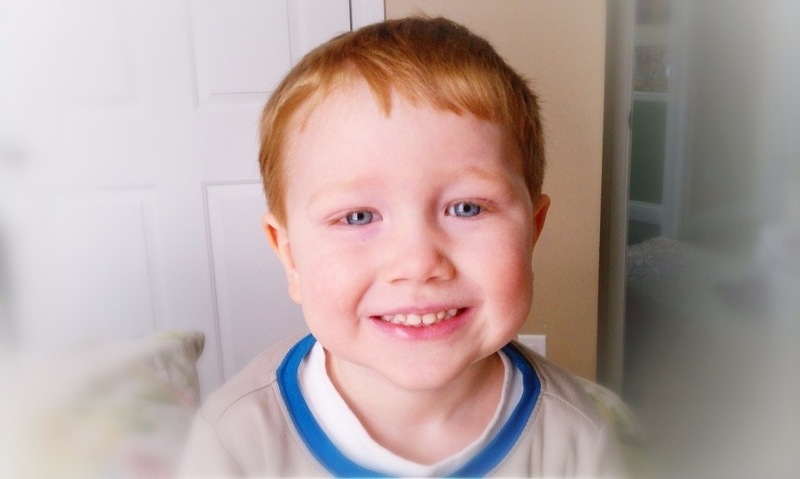 He will just say, “yah froggy good job.” Then he will ask to play games…. Rudy hides when he is doing “his potty time.” It was quiet and he was nowhere to be seen. I usually just follow the unpleasant scent to find my little redhead. But there was no scent this time. I found him hiding in my bedroom sitting on the floor with my IPad going through the book “Potty Time” all on his own. I wanted to shout and praise God for this break through! I just stood there super quiet listening to Rudy read the story to himself filling in the words from memory, because I have read this book to him 1,978,999 times (yah, I exaggerate). But, through my eavesdropping I noticed Rudy wasn’t repeating the correct words that I say to him. Rudy wasn’t flipping through the pages either. He was staying on the picture of Hopkins clutching his diapers scared to let them go. This moment was mixed with emotions for me. I wanted to cry, and smile at the same time. Cry because I felt defeat once again, and smile because I actually did feel and witness a victory from Rudy. I was proud to see Rudy care and feel concern for a little someone that felt scared. It was nice to see this side of my Rudy. Yes, I know Rudy felt this compassion for this frog in training because he can totally relate, and lets be honest he doesn’t want to be the last one still in diapers! Every child in the nursery at church has conquered using the potty except Rudy. He is feeling a little left behind. And now this little green creature is using the potty too! Rudy felt compelled to talk him out of it! I keep telling myself the same thing all of you keep telling me, “don’t worry about it, Rudy will not be going to school in diapers!” Yup, I believed you until I saw THIS! Thanks to my sister Becky! So, for all of you that say this doesn’t happen……ummmm….you might be wrong! Ok, with all craziness aside, I have let the potty training thing go. I’m a stay at home mother that doesn’t have the pressure to conquer this task for convenience of child care providers. This will happen when he is ready and for some reason he isn’t ready. That’s ok, to be quiet honest I’m not that great at change either. The only change I want to stop is his diapers. It will happen when it happens. Besides I’m not ready for him to grow up so fast either. He’s my Rudy Raccoon. I guess just like the awesome Lord we have, He never gives up on us, and He is patiently waiting for us to come around at times. I will never give up on my children no matter what, just like the good Lord will never give up me!